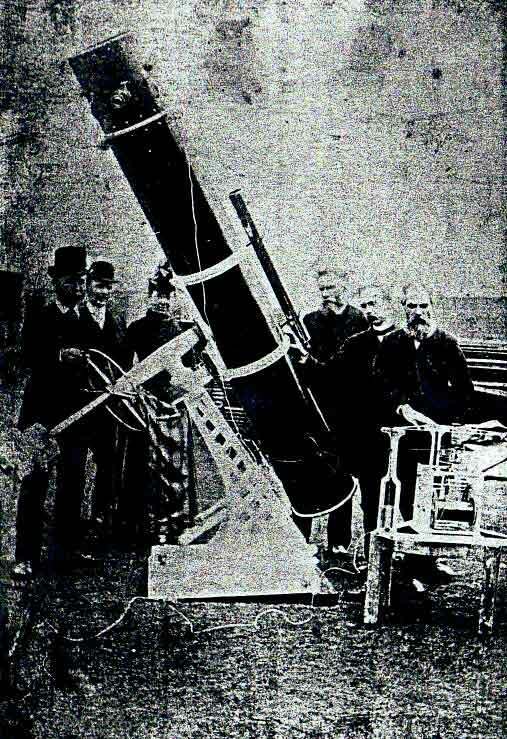 The original telescope waiting to be shipped to Stirling. 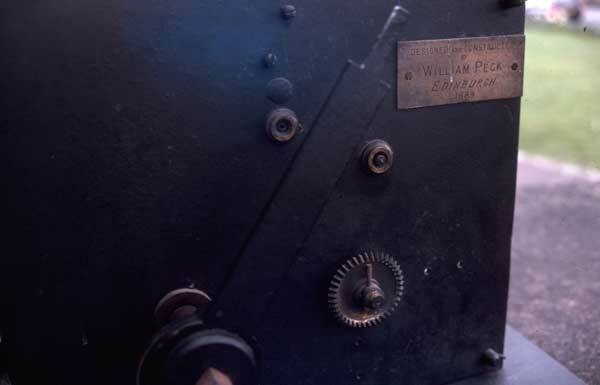 William Peck has his hand on the tube. 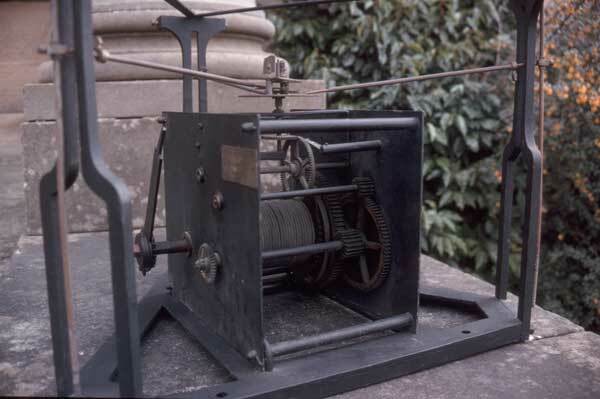 Peck's manufacturing plate on the drive mechanism. 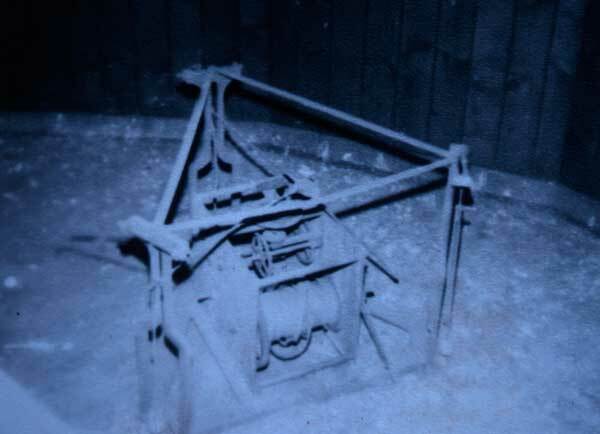 The drive mechanism when the observatory was first examined in the 1970's. 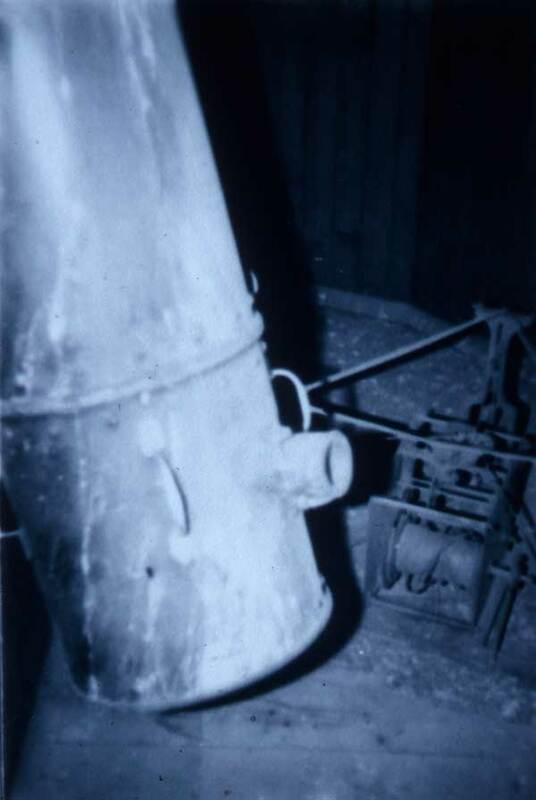 The original telescope tube in the 1970's. 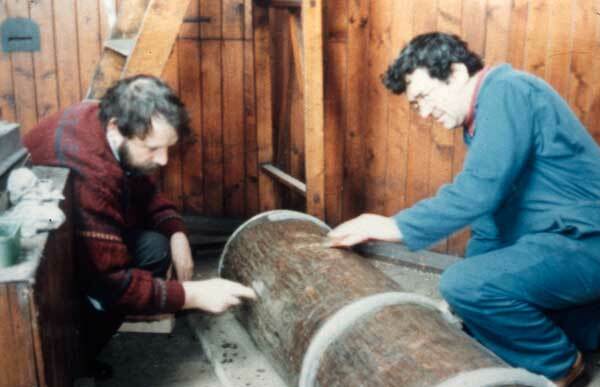 The original telescope tube being restored. 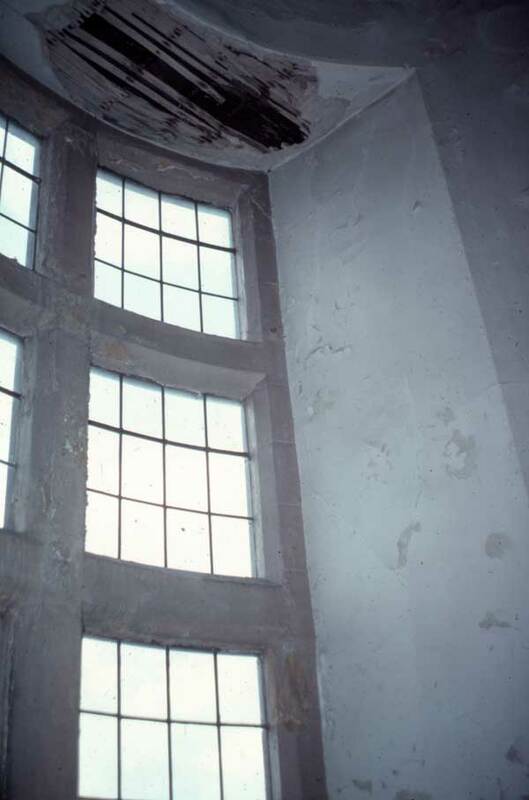 The roof in the room below the observatory. 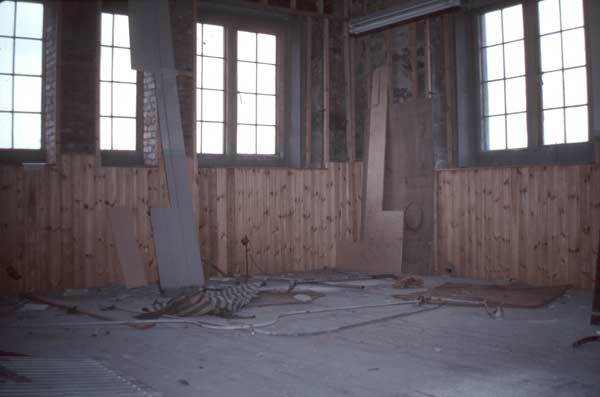 The room below the observatory during restoration. 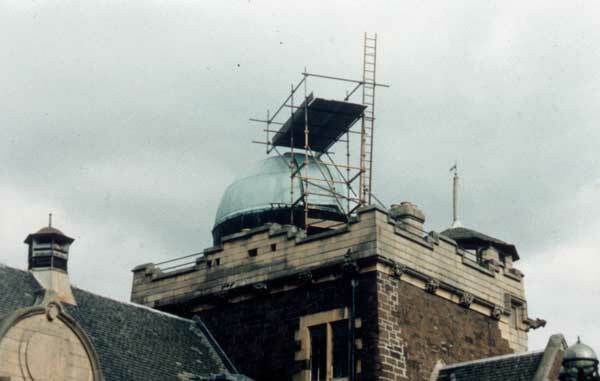 The dome under repair in the 1970's.